Do you need kitchen appliance repairs or laundry machine repair for your local home? 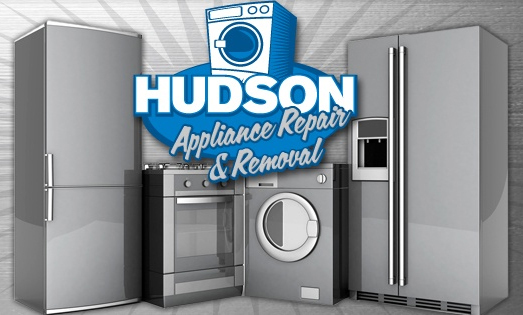 Hudson Appliance Repair & Removal is the company to call. 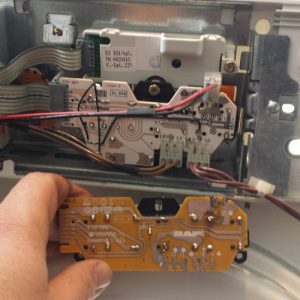 Dedicated to keeping your major appliances humming along for the long haul, we take the trouble and expense out of broken appliance problems. 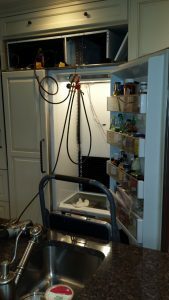 We’re your source in Lincoln Park for effective and affordable appliance repair services. When your appliances let you down, we can help you bounce back easily from a refrigerator not cooling, a washing machine not draining, and other frustrating scenarios. And for those times when you require appliance installation, we can aid in that, too. Simply get in touch with our team for home appliance repairs and installs on virtually any and all brands. To learn more about our extensive appliance repair services, call us now or reach us by e-mail! At Hudson Appliance Repair & Removal, we love being your appliance repairman. Every day, we have the opportunity to use our appliance repair skills to make a real difference for the homeowners we serve. Since opening our local appliance repair shop in 2010, we’ve assisted countless customers with home appliance repairs, including refrigerator repairs, gas oven repairs, microwave repairs, and more. 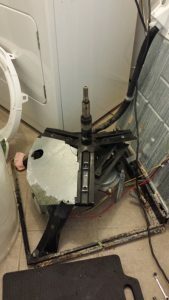 We’ve also put our 10 years of appliance service experience to the test on numerous install jobs, providing everything from dryer installation and washer installation to stove and oven installation. Gas or electric, we’ll get the work done right. Based in Lincoln Park, New Jersey, we’re pleased to extend our appliance repair and installation services to residents on both sides of the state line. Whether you live in Vernon Township, NJ, or Warwick, NY, we’re just a phone call away to give your appliance repairs and installs the expert attention they deserve. No matter where you are in our service area, we’ll make every effort to get you on our repair schedule soon and take superb care of your broken dishwasher, broken washing machine, or anything else you need. We’re the appliance repair service you can count on in Kinnelon, West Milford, Franklin Lakes, Wayne, Pine Island, Hamburg, Mahwah, Tuxedo, and points nearby. Make us the first appliance repairman you call! Whether you’re on the lookout for kitchen appliance repairs or laundry appliance installation, you’ve found a trusted service provider in Hudson Appliance Repair & Removal. As a family-owned appliance repair company, we prioritize courteous care and complete precision on every service call. Our technicians know their stuff, and we’ll work hard to deliver quality results at reasonable rates for dryer service, oven service, dishwasher service, and all of your appliance service needs. From Samsung and Sub-Zero to Miele and Maytag, we’re the appliances repair company you can depend on for almost any brand, at almost any time. Ensure your satisfaction with the appliance service specialist you choose. Call us for an appointment today. For your peace of mind, Hudson Appliance Repair & Removal is a licensed and insured home appliance repair business. We also protect you with 90-day parts and labor warranties on all of our appliance repair services and installations. 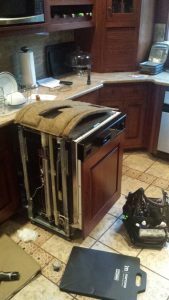 We’ll even haul away your old unit on any appliance replacement, and in some cases, we’re available for emergency appliances repair. Don’t delay. Call on our proven pros today!